Dillian Whyte could fight a rival heavyweight contender such as Alexander Povetkin or Luis Ortiz after he receives a ruling on his WBC status, says promoter Eddie Hearn. The Brixton heavyweight has urged the WBC to make him their next mandatory title challenger after Dominic Breazeale was granted a fight against WBC champion Deontay Wilder in New York on May 18. Plans are still in place for Whyte to return to the ring in early July, with Hearn drawing up a shortlist of highly-ranked fighters, including ex-WBA champion Povetkin, and former world title challenger Ortiz. We know Dillian always wants to fight these top guys, so you can expect him to be in a great fight in July. "We want Dillian Whyte to be the mandatory with the WBC, so that will be ruled in the next 10-14 days," Hearn told Sky Sports. "A lot depends on that decision in terms of who he fights in July. The plan is to still go July 6 or 13, and we'll wait for the WBC's decision, and then make our choice following that." Asked about likely opponents, Hearn added: "Ortiz, Povetkin, Manuel Charr, Agit Kabayel the European champion as well. We know Dillian always wants to fight these top guys, so you can expect him to be in a great fight in July." 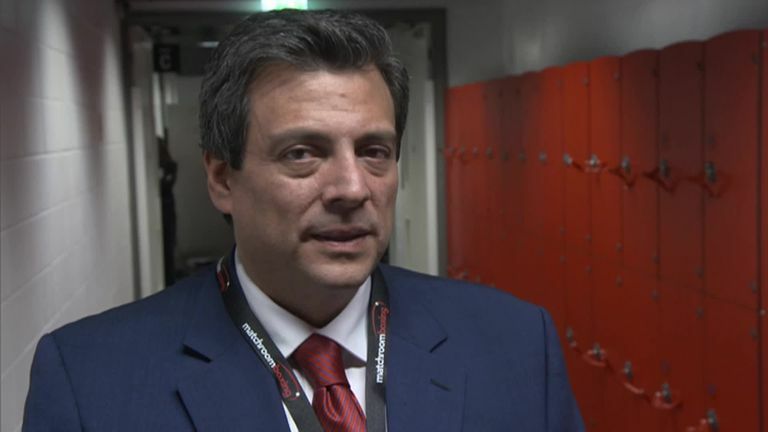 WBC president Mauricio Sulaiman flew over for a meeting about Whyte, who voiced his anger after Breazeale received his mandatory title shot, despite the Brixton man's status as the WBC's no 1 ranked fighter. "I think he feels for Dillian Whyte," said Hearn. "I think everybody in boxing knows he's been hard done by in this situation. Mauricio is a very fair guy, so is the WBC. "They'll take that into consideration, they'll take our appeal into consideration, and they'll make their decision amongst the WBC governors."